Tamanend, LA, December 4, 2017 – The St. Tammany West Chamber of Commerce awarded Weyerhaeuser with the prestigious 2017 Tammany Proud Award for its Tamanend community. “We are truly honored that Weyerhaeuser is the recipient of the 2017 Tammany Proud Award for our Tamanend community,” said Rose Fagler, Economic Development Manager, Weyerhaeuser. “From the onset, we recognized that St. Tammany Parish is a special place. We have planned Tamanend to both enhance the Parish and to become the Heart of the Northshore,” Fagler added. For the past 15 years, St. Tammany West Chamber has acknowledged local businesses that make an impact on the St. Tammany community during the Business Community Appreciation Luncheon. 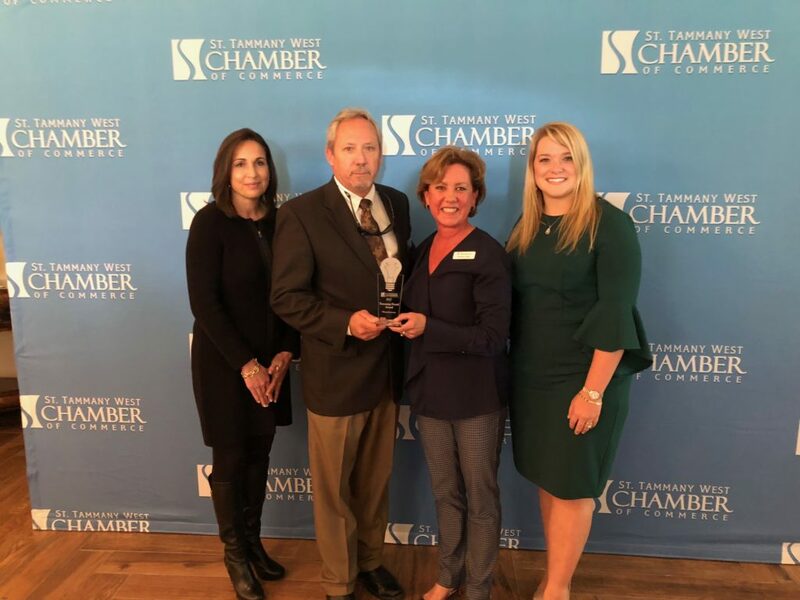 Weyerhaeuser received the award for its Tamanend community as it is fostering a positive image of St. Tammany Parish while working outside of Southeast Louisiana. Tamanend, a Weyerhaeuser Community, presents 848 acres in the initial phase, with a planned 1,348 residences in housing products from multi-family homes and townhomes to single-family residences. With up to 430,000 square feet of commercial and office development in the Town Center, plus two LED Certified Sites spanning 80 acres for office and warehouse development, Tamanend will offer a variety of opportunities for a comprehensive, mixed-use community. The Innovation District at Tamanend includes the Northshore Technical Community College’s new Main and STEM campus. Learn more at tamanendla.com. Weyerhaeuser, one of the world’s largest private owners of timberlands, began operations in 1900. We own or control nearly 13 million acres of timberlands in the U.S., and manage additional timberlands under long-term licenses in Canada. We manage these timberlands on a sustainable basis in compliance with internationally recognized forestry standards. We are also one of the largest manufacturers of wood products. Our company is a real estate investment trust. In 2016, we generated $6.4 billion in net sales and employed approximately 10,400 people who serve customers worldwide. We are listed on the North American and World Dow Jones Sustainability Indices. Our common stock trades on the New York Stock Exchange under the symbol WY. 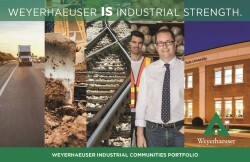 Learn more at weyerhaeuser.com. © 2019 Weyerhaeuser Company. All Rights Reserved. Artistic renderings subject to changes and refinement. Data provided by outside sources is subject to change without notice. NTCC and LED are separate entities and are not owned or operated by Weyerhaeuser. Proposed amenities may change without notice. Tamanend video footage courtesy of Geaux Media.